Did he steal the guitarist's watch...? Tom Waits made a rare public appearance over the weekend - at a Jack White show. Jack White played the Bill Graham Civic Auditorium in San Francisco, a scorching appearance as part of his broader Stateside tour. The songwriter had a surprise visitor backstage, though, with Tom Waits emerging to greet him. After making "all the musicians in the band confirm and pay testament to their love of the religion of music" Tom Waits then seemingly "stole Jack's watch..."
A pretty cool moment, all told. 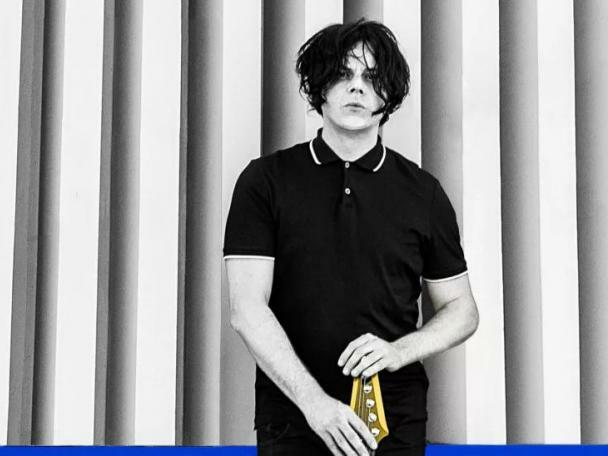 For tickets to the latest Jack White shows click HERE.